A few weeks ago it seemed Villarreal was turning the corner, but consecutive losses to Mallorca, Zaragoza and now Getafe have everyone asking again what is wrong with this club. And with a trip to Levante, followed by a visit from Real Madrid next up, it’s hard to be optimistic this team will pick up points in the coming week. Just as under Garrido, a strange team selection from coach Molina, combined with a fragile defense and nervous, stuttering offense led to a shameful home loss to Getafe—a loss in which Villarreal’s only goal came from a penalty, with another missed penalty and a free kick off the bar their best opportunities. Getafe, meanwhile, scored two goals from open counterattacking play and should have added a third. For reasons unknown, Molina went with a 4-4-1-1, essentially, with Nilmar the lone striker and Camuñas between him and the midfielders. Nilmar might be many things, but a lone striker, or a player who can hold the ball up and play with his back to goal, he is not. Camuñas is primarily at his best as a winger, and it was hard to see how he and Nilmar would operate effectively together. Meanwhile, Getafe had a very simple game plan. Realizing that essentially everything comes through Borja Valero, the visitors set out to make him give up the ball before he could get into dangerous attacking positions, and were happy to foul him in the midfield. And from the beginning of the game Villarreal looked nervous and emotionally fragile. Passes were going astray, the team was trying to play at tempo but there was no confidence—and even less once Getafe had taken a shock lead within six minutes, with a counterattack down our left and a nice pass into an unmarked player in the box. To his credit, Jaume Costa, who had been beaten badly down the wing for the goal, engaged in a nice one-two with Camuñas that led to a clear penalty, but then Borja Valero chipped a soft shot right into keeper Moya’s hands. With an experienced penalty-taker like Senna on the pitch, it seemed a strange decision. Shortly before the halftime whistle Villarreal received an undeserved lifeline when Nilmar went to ground fairly easily under a challenge inside the box and the referee awarded another penalty. This one Nilmar converted himself. 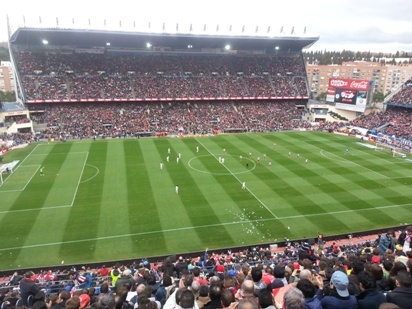 But Villarreal began the second half as they had the first, with lots of ineffectual possession and no real danger. I don’t pretend to be a great soccer tactician, but if anyone can explain to me why, with the game tied 1-1 and half-an-hour left, you remove Gonzalo, your most experienced center back, in order to bring in Marco Ruben, I’d love to be enlightened. Why not bring off Camuñas? Or Cani? Within five minutes this move had been appropriately punished. Getafe counterattacked, down our right this time, yet again our defense was sliced open by a simple pass and no one closed down the two attackers in the box. Molina’s response was to remove Nilmar for Joselu, which made no sense either— had Ruben and Joselu ever played together. Why not introduce Martinuccio? And why wasn’t Hernán Pérez even named to the squad? For that matter, why not go to a 4-3-3 and throw caution to the wind? In fact, our last substitution didn’t come until injury time, and Castellani for Camuñas was hardly an offensive-minded change! The fans at El Madrigal whistled their disapproval, and Submarine fans watching around the globe had to be just as upset. Here were three points here for the taking, and essentially our opponents simply sat back, watched us implode, and took advantage of our defensive lapses, our positional errors, but most of all our poor attitude. We looked like a team going though a training session, not a team fighting for its life in the Primera. Giuseppe Rossi told UEFA.com he thought we wee too complacent this year. Now we have to fight to stay up, and we’re fighting against teams like Sporting and Racing, who have had to fight for their survival in the Primera year after year. We haven’t. Yes, we have better players than those teams. But we deserve to be here—one point from six against Zaragoza, and now one point from six against Getafe, tells you we’re jut not very good. And with a match at Levante this Sunday, followed by a likely tonking from Real Madrid on Wednesday, I fully expect us to be on 27 points when we visit Rayo the next weekend. Prove me wrong, boys. Please!! For all things Villarreal, visit Allen and is colleagues at VillarrealUSA.com! Its a real shame what is happening at Villarreal – treated me like a king when I went over for the Manchester City game in November. Even now their injury problems seem to have subsided somewhat there isnt any marked improvement in performances. If they were to get relegated, Im not sure how well placed they would be to come back up. 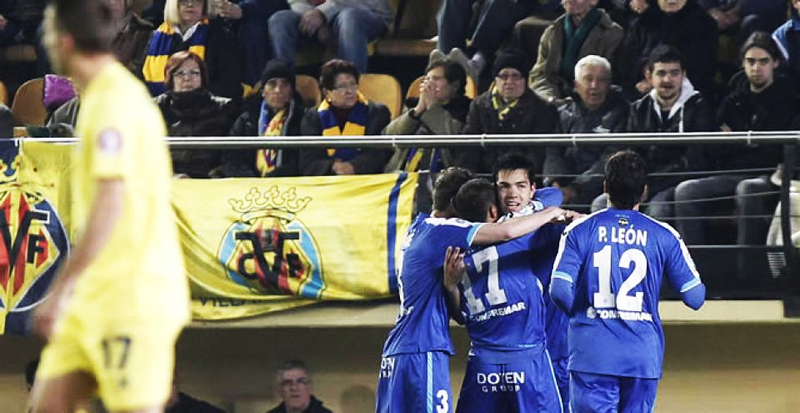 it’s great villareal don’t own money to anyone, because it will be hard to get loans in segunda.